The growth in income tax returns filed and advance tax collections of personal tax was attriuted to demonentisation of high-denomination banknotes and Operation Clean Money. 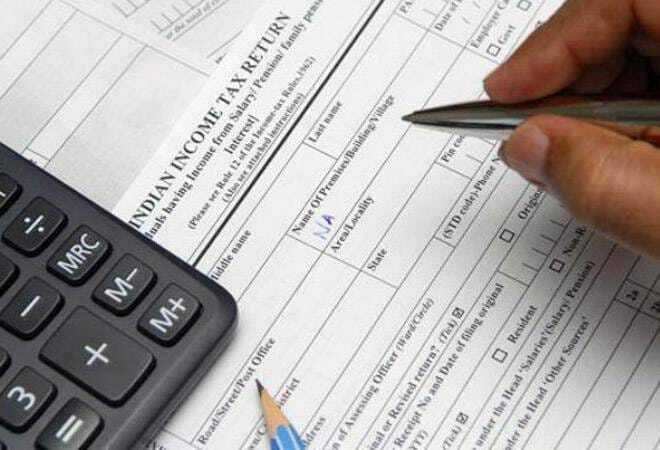 Income tax returns filed in the current fiscal year saw an increase of 25 per cent, according to a statement by the Central Board of Direct Taxes (CBDT). Substantial rise was also seen in direct tax collections during the same time period, with advance tax collections of personal income tax growing by 41 per cent. The growth in tax collection was referred to demonetisation of high denomination currency notes in 2016 and Operation Clean Money launched earlier this year. Both initiatives were carried out with the motive of curbing black money. Substantial increase in the number of Income Tax Returns(ITRs) filed as a result of demonetization and Operation Clean Money. "As a result of demonetisation and Operation Clean Money, there is a substantial increase in the number of Income Tax Returns (ITRs) filed. The number of Returns filed as on August 05, 2017 stands at 2,82,92,955 as against 2,26,97,843 filed during the corresponding period of financial year 2016-2017, registering an increase of 24.7 per cent compared to growth rate of 9.9 per cent in the previous year," read a statement by Ministry of Finance. No. of Returns filed upto 05.08.2017 is 2.82 crores as against 2.26 crores filed in corresponding pd of F.Y. 2016-17: an increase of 24.7%. The ITRs filed by individuals also saw an increase of 25.3 per cent with 2.79 crores received till the revised deadline. Self-Assessment Tax (apart from Corporate Tax) also rose by 34.25 per cent till August 05, 2017 over the corresponding period in fiscal year 2016-17. "The growth in returns filed by Individuals is 25.3 per cent with 2,79,39,083 returns having been received up to August 05, 2017 as against 2,22,92,864 returns in the corresponding period of financial year 2016-2017. This clearly shows that substantial number of new tax payers have been brought into the tax net subsequent to demonetisation," said the ministry statement. Growth in ITRs filed by Individuals is 25.3% with 2.79 crore ITRs having been received upto 05.08.2017. The effect of demonetisation is also clearly visible in the growth in Direct Tax Collections, the ministry said. "Advance Tax collections of Personal Income Tax (i.e. other than Corporate Tax) as on August 05, 2017 showed a growth of about 41.79 per cent over the corresponding period in financial year 2016-2017. Personal Income Tax under Self Assessment Tax (SAT) grew at 34.25 per cent over the corresponding period in financial year 2016-2017," the statement said. Self Assessment Tax(other than Corporate Tax) grew at 34.25% till 05.08.2017 over the corresponding period in F.Y. 2016-2017. The deadline to file income tax returns was extended from July 31, 2017 to August 5 after taxpayers complained of technical glitches hindering e-filing of income tax returns through the income tax e-filing website.